We are located in Lafayette, Louisiana the heart of Cajun Country ! Our studio is licensed by the Louisiana Board of Health & Hospitals. All of our artist are certified in the proper sterilization techniques and Red Cross certified . We use all disosable equipment for our tattooing and piercing. You are welcome to bring in your own design or we can draw something for you.We prefer to do custom designs but we also offer this areas largest selection of designs. Magic Mike has been tattooing for over 25 years and has all the skills necessary to do a great tattoo for you.His work has been seen in all the major Tattoo magazines, and several televison shows. Freedom is a tattooist that joined our team 3 years ago. 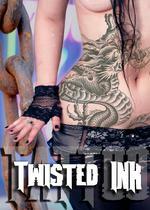 Lorretta has been with us since the beginning of Twisted Ink Tattoo Studio LLC and she is The Overseer. we accept MC VISA and Discover.